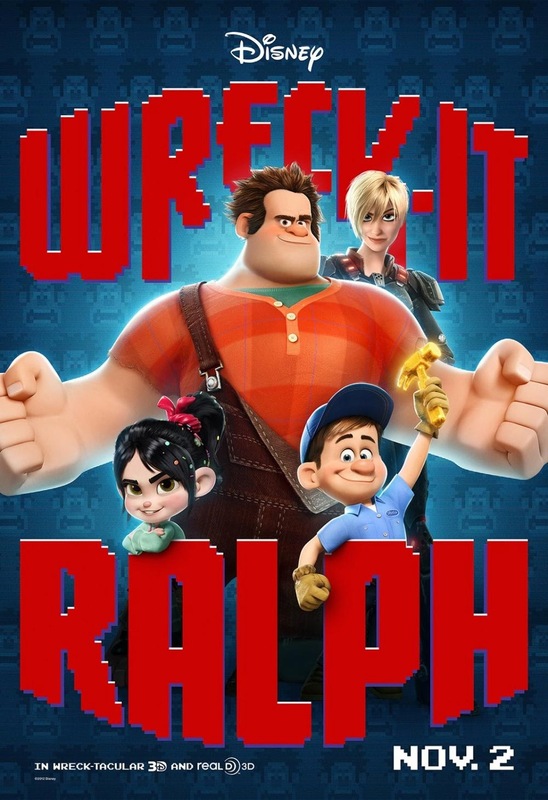 Film Review: "Wreck-It Ralph" (2012). "My name's Ralph, and I'm a bad guy… I'm a wrecker… For thirty years I have been doing this… I gotta say, it becomes kinda hard to love your job... when no one else seems to like you for doing it." This is the premise of Disney’s Wreck-It Ralph. This 3D computer-animated family-action comedy film produced by Walt Disney Animation Studios and distributed by Walt Disney Pictures. It is the 52nd animated feature in the Walt Disney Animated Classics series. The film tells the story of the titular arcade game villain who rebels against his role and dreams of becoming a hero. He travels between games in the arcade, and ultimately must eliminate a dire threat that could affect the entire arcade, and one that Ralph may have inadvertently started. Wreck-It Ralph contains a number of other video-game references, including characters and visual gags. At the meeting of video-game villains, the above characters include, in addition to any mentioned above: Bowser from the Mario series, Doctor Eggman from Sonic the Hedgehog, and Neff from Altered Beast. Characters from Q*bert, including Q*bert, Coily, Slick, Sam and Ugg, are shown as "homeless" characters and later taken in by Ralph and Felix into their game. Scenes in Game Central Station and Tapper's bar include Chun-Li, Cammy and Blanka from Street Fighter, Pac-Man, Blinky, Pinky, and Inky from Pac-Man, the Paperboy from Paperboy, the two paddles and the ball from Pong, Dig Dug, a Pooka, and a Fygar from Dig Dug, The Qix from Qix, and Frogger from Frogger. The residents of Niceland are animated using a jerky motion that spoofs the limited animation cycles of the sprites of many eight- and sixteen-bit arcade games. Throughout Game Central Station is graffiti stating that "Aerith lives", referencing the character of Aerith Gainsborough from Final Fantasy VII. There is also a reference to the Metal Gear series when Ralph is searching for something in a box and finds the "Exclamation point" (with corresponding sound effect from the game). Mr. Litwik wears a black and white striped referee's shirt, a nod to the iconic outfit of Walter Day, founder of Twin Galaxies, a video arcade game scorekeeping organization. One of songs in the credits is an original work from Buckner and Garcia, previously famous for writing video game-themed songs in the 1980's. The film features the voices of John C. Reilly, Sarah Silverman, Jack McBrayer, and Jane Lynch. John C. Reilly as Wreck-It Ralph, the villain of Fix-It Felix, Jr, was hilarious at times and was also a unintentional caricature as the film's reluctant villain. Sarah Silverman as Vanellope von Schweetz, a little-girl racer and glitch in Sugar Rush was enjoyable enough. Jane Lynch as Sergeant Tamora Jean Calhoun, the lead character of Hero's Duty, was probably the best performance. Finally Alan Tudyk as King Candy was an incredible performance, but was nonetheless a knockoff to the old Mad Hatter character from Alice in Wonderland (1951) played by Ed Wynn. Wreck-It Ralph is a somewhat dazzling movie from Walt Disney in which games have a world of their own. But here's a rip-off arcade show that is not at all sensational, stylish, or fun. "Far over the misty mountains cold / To dungeons deep and caverns old / The pines were roaring on the height / The winds were moaning in the night / The fire was red, it flame spread / The trees like torches blazed with light..." This famous passage conveys exactly what is going down in The Hobbit: An Unexpected Journey. This epic fantasy film directed by Sir Peter Jackson. 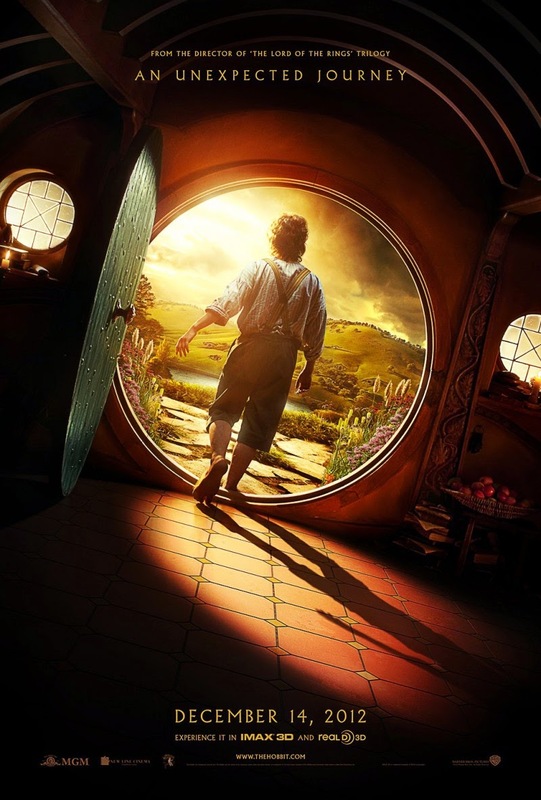 It is the first of a three-part film adaptation of the 1937 novel The Hobbit by J. R. R. Tolkien. Set sixty years before The Lord of the Rings, the story is about the hobbit Bilbo Baggins, who is swept into a quest and hired by the wizard Gandalf to accompany thirteen dwarves led by Thorin Oakenshield on a quest across Middle-earth to reclaim the Lonely Mountain from Smaug the dragon. On 16 December 2007, New Line and MGM announced that Jackson would be executive producer of The Hobbit and its sequel. In April 2008, Guillermo del Toro (Pan's Labyrinth (2006)) was hired to direct the film. Pre-production began around August 2008. Filming was expected to take place throughout 2010 in New Zealand. Jackson revealed in late November 2009 that he anticipated that the script for The Hobbit would not be finished until the beginning of 2010. The announcement created doubts about whether the film would make its previously-announced release dates of December 2011 and December 2012. Jackson reiterated that no casting decisions had been made. On 22 January 2010, Alan Horn said the first film would likely not be released until the fourth quarter of 2012. In 2010, del Toro left the project because of ongoing delays. On 25 June 2010, Jackson was reported to be in negotiations to direct the two-part film. On 15 October 2010, New Line Cinema and Warner Bros. confirmed that The Hobbit was to proceed filming with Jackson as director, with the film reported to be greenlit, and principal photography to begin in February 2011. The performances in this film felt rather weak and underdeveloped unlike the previous performances were in The Lord of the Rings. Freeman’s performance got off to a rather bad start. But it was the same for Elijah Wood. The performances of the company of dwarves, that included; Richard Armitage as Thorin Oakenshield, Graham McTavish as Dwalin, Ken Stott as Balin, Aidan Turner as Kíli, Dean O'Gorman as Fíli, Mark Hadlow as Dori, Jed Brophy as Nori, Adam Brown as Ori, John Callen as Óin, Peter Hambleton as Glóin, William Kircher as Bifur, James Nesbitt as Bofur, Stephen Hunter as Bombur, were all rather cartoonish than real characters. However, there some strong performances from Sir Ian McKellen, Cate Blanchett, Hugo Weaving, Sir Christopher Lee, Ian Holm and Elijah Wood reprising their roles from the previous films. And lastly Andy Serkis, whose riddling return as Gollum stole the entire film. Jackson needs to improve on the plot and character development, because The Hobbit: An Unexpected Journey feels kind of flat. However there's plenty of eye candy to behold.